The third instalment of John Hinton’s scientific musical theatre trilogy – or “scientrilogy”- Albert Einstein: Relativitively Speaking at the Holden Street Theatre takes a lighthearted but scientifically sound look at the life and work of the world’s greatest theoretical physicist. The theories of special and general relativity were hilariously demonstrated on stage in terms of romantic courtship using volunteers from the audience. I say “volunteers” but it was hard to say no as the character of EA was so charming. We learned his famous equation through a rap song complete with hand actions. Albert was accompanied on piano by his wives (his second wife Elsa was also his cousin). The show did not flinch from controversies such as his support for the development of atomic weapons in response to the Nazi threat, but also his abhorrence that they were actually used. Some telling moments for the audience too, as the drama turned to question ourselves before re-energising the mood with a final rendition of E=mc-squared. Albert Einstein: Relativitively Speaking is a highly enjoyable, informative, fun and thought-provoking experience. Limited prior knowledge of physics is required. It’s timely, in these times of science-denial, for science and art to speak as one in effective communication. See a review for the Element in the Room. The final part of the scientrilogy is Origin of the Species. I haven’t been awarding stars this year, but all three of these shows deserve at least four. 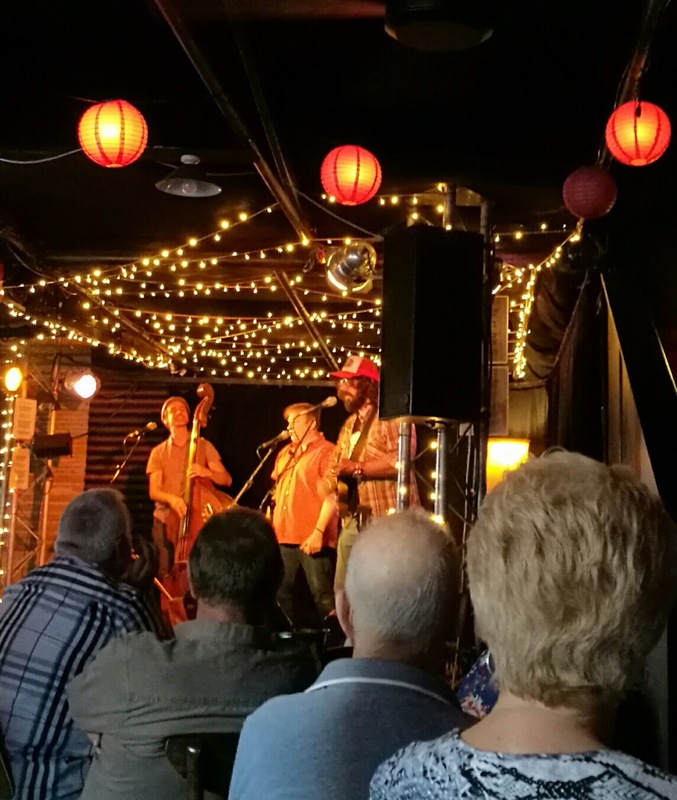 A History of Early Blues at the Wheatsheaf Hotel (the Wheaty) saw local guitar whiz Cal Williams Jr, double bassist Kory Horwood and harmonica man Will Kallinderis take us on a journey through the formative years of that muddy ol’ genre. Not the Robert Johnson down-at-the-crossroads version, but its precursors from spirituals, gospel and slave-work song roots. The performance was punctuated with short explanations of historical context or musical form (we were taught how to play a basic 12 bar). For example, ever wondered why so many blues artists had the title “blind,” as in Blind Lemon Jefferson? I was expecting the “blues name joke” answer (disability-fruit/southern state-dead president), but no, if you were blind in Mississippi you couldn’t pick cotton, so one option for survival was to became a musician. These educational nuggets plus the virtuosity of the performers made for a great show, highly appreciated by the white middle aged men who paradoxically now keep the art form alive. Do they know that they can hear Cal and other equally great artists for free every month at the Gilbert Street Hotel? The weird and wonderful, the bizarre and the beautiful- this is what Fringe is about. 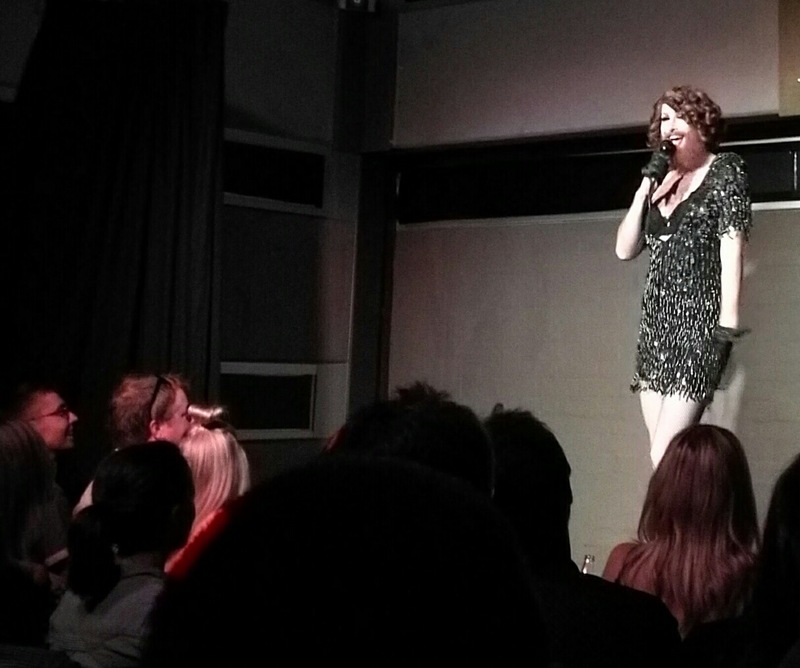 Finally, we took a punt (thanks to halftix) on the Best of Edinburgh Cabaret in the Bunka at the Austral Hotel. Having been to a few “best of” comedy shows in the past, the term can be a bit misleading. For this show, however, it was not. As well as a brilliant MC, we were also treated to an impressive hoola-hoop circus act, a burlesque dancer and the inimitable Gingezilla, a seven foot, redheaded (and bearded) drag act with an amazing voice – or pair of voices. The weird and the wonderful, the bizarre and the beautiful- this is what Fringe is about.